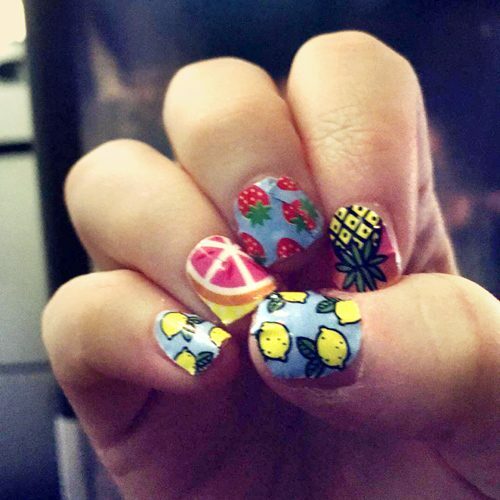 Meghan Trainor wears a fruit decal manicure. 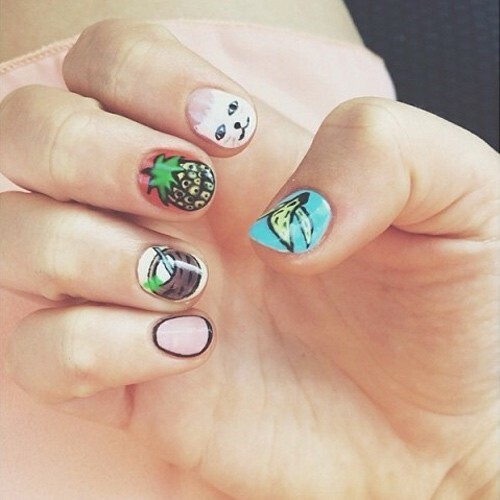 “You wish your nail art was as cool as mine”, Arden Rose said on a post on Instagram. 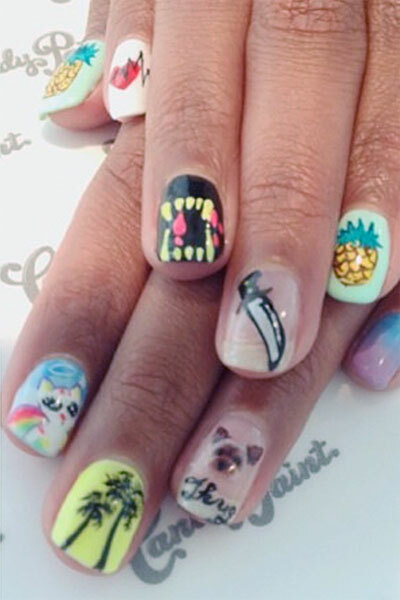 She had a funny colorful manicure which included designs such as a peeled banana, cat face, pineapple, milk pot and one light pink nail with black border. 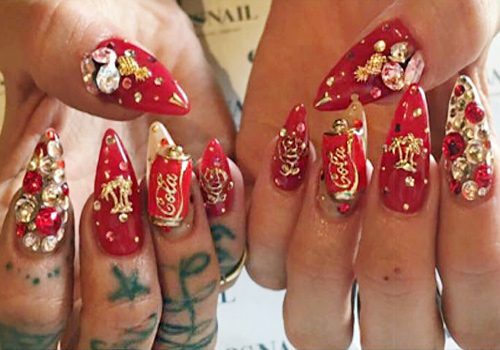 Neon Hitch’s nails are made to look like various fruits including a watermelon, apple, and pineapple. 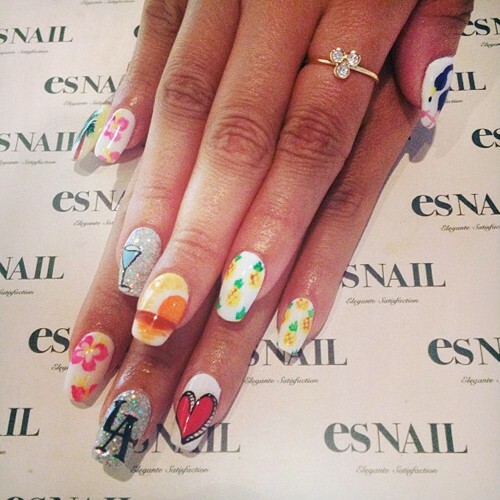 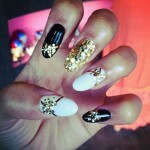 Nina Nesbitt got her nails done by London’s The Illustrated Nail backstage at V Festival. 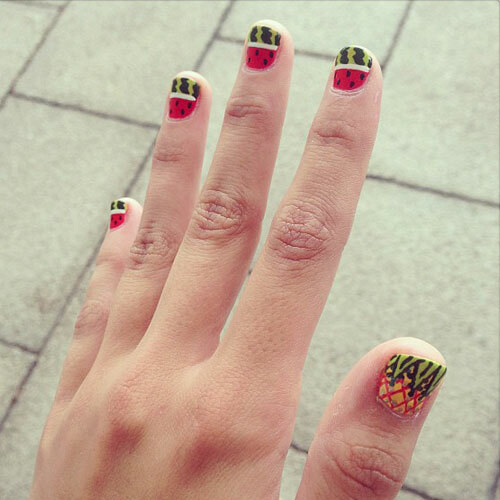 She has watermelons on most of her nails and a pineapple on her thumb.